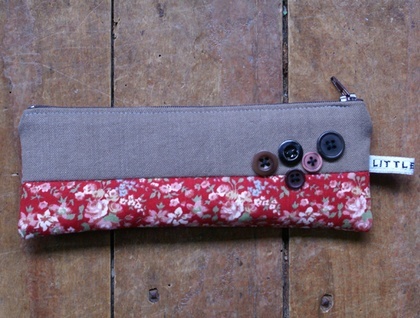 Made entirely from vintage and re-loved fabrics, this pencil case is made from a vintage rose print in brick reds, dusky pinks, forget-me-not blues, and apple greens on white cotton drill. One side has the rose print running along the bottom half with a mocha linen on the top, the other side is all vintage rose. All external fabrics have been interfaced to add extra firmness. 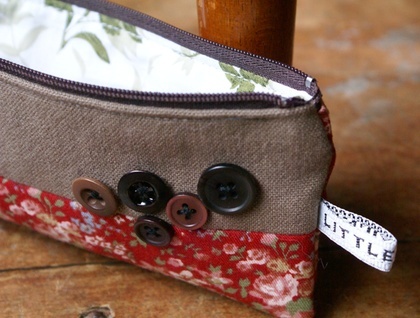 The interior is lined with a soft cotton fabric with a botanical print in olive greens. 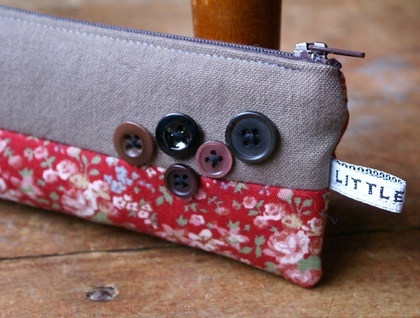 It has a collection of vintage buttons in rich browns sewn onto the front, and has a coffee coloured zip. 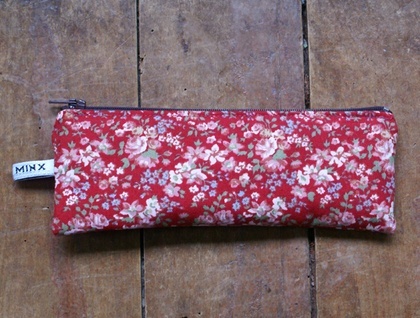 This is a smallish, compact pencil case, and holds about 8 or so pens. It is 19.5 cm wide by 8 cm tall.